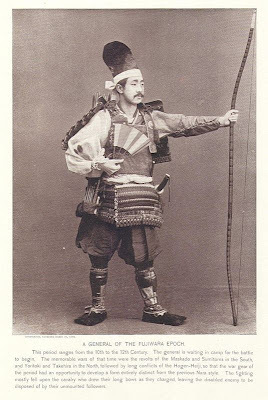 Whilst it is perhaps hard to find much academic discourse on the development of everyday historical dress, there is much documentation and analysis of battle uniforms and body armour. What this says about human society is perhaps interesting, but lest we are doomed to simply finding bigger and better ways to kill each off, I would like to explore the fashion inspiration that body armour can provide. 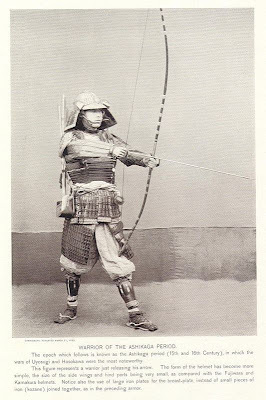 The need for armour and protection, along with its morbid implications, is actually quite the intrinsic human trait. 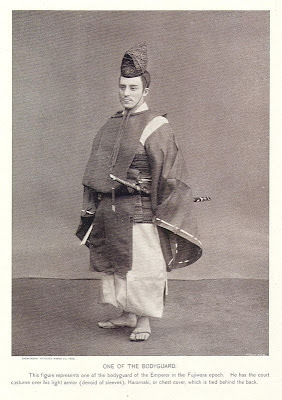 Clothing is in its own way a form of protection, where the sword is replaced by the ostensibly less threatening but even more potent power of Nature. 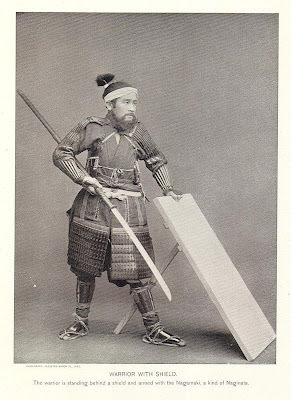 Many may see body armour as solely constrained to the realm of the history of warfare, however there is in armour a rich and intriguing development of aesthetics and functions to be found. 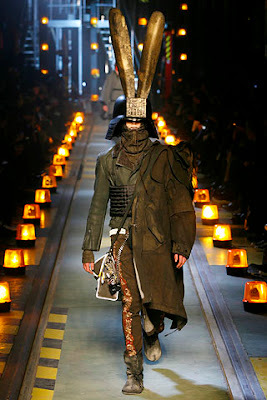 Indeed fashion designers have often be drawn to the inspiration of body armour, taking the idea metaphorically or, in some cases, rather literally, and playing this against the element of protection already inherent to clothing itself. 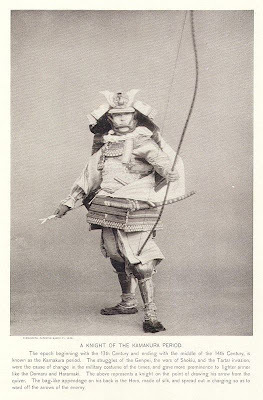 I was absolutely fascinated with this historical photographic survey of body armour and war clothing in Japan. 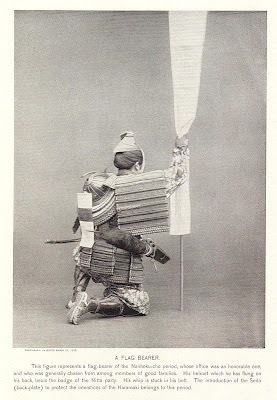 Removed from the context of the battlefield there is an elegance and beauty to their crafting and wear. 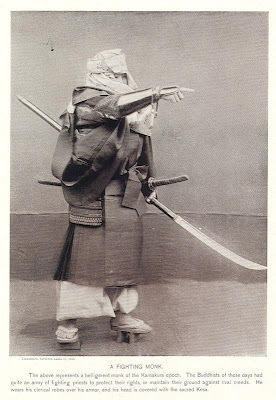 Indeed my personal favourite is the last photograph of the Fighting Monk, with the patterned headdress, complex pleating, layering and shiny metal armguard. I suppose an element of morbid interest is perhaps never far off when viewing such images, for what they represent. However from a purely visual aspect, I find it quite beautiful. Of course with a more direct adoption of such an inspiration there is always the question of practicality and everyday dress. 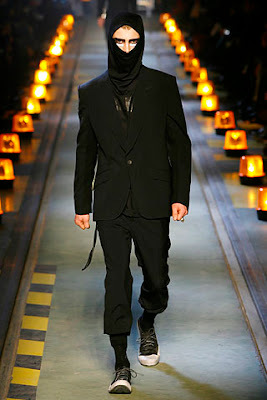 As such, along with the more costume-oriented looks, there were more diluted and accessible looks. 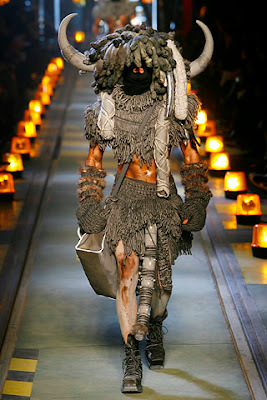 I would personally mix and match pieces from both the more costume and the everyday looks. wow..those are some really cool pics. Thanks for finding them all...and sharing. One of those guys made me think of something Where the Wild Things are. Very cool how something do carry from history. ..especially in fashion. That is such a ridiculous collection! I love it, obvs. 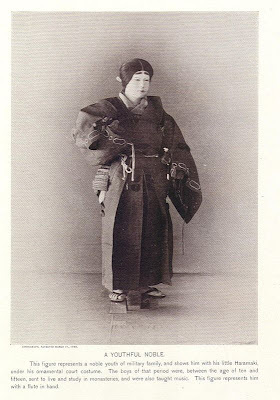 It is rather interesting how only certain styles of dress are really recorded through drawings and photos and paintings and such. I'm a sucker for the Ninja look. 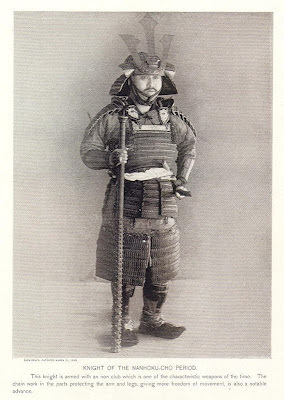 If I had a choice between going to museum or seeing samurai armor, I would pick the armor every time. 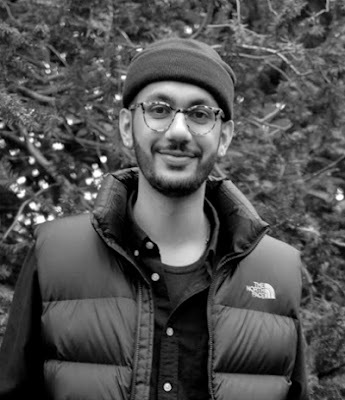 I like things that are practical and utilitarian, so I am fascinated in the design that goes into something that serves a function. LOL @ Capt Hook! It never occured to me before, but it is so uncanny! I think Isabel & Ruben Toledo look like Morticia & Gomez Addams. 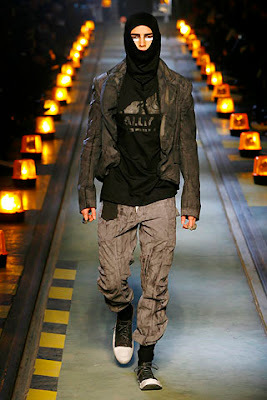 Galliano really does look like a pirate. Haha! Loved this post. Well written and researched, as always. Happy New Year to you! 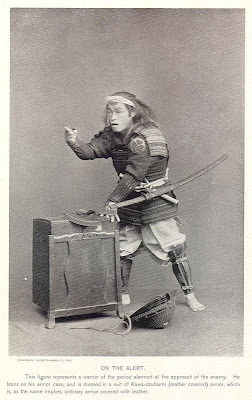 Haha I loved the serious Japanese warrior post to that funny comparison. It's so true! 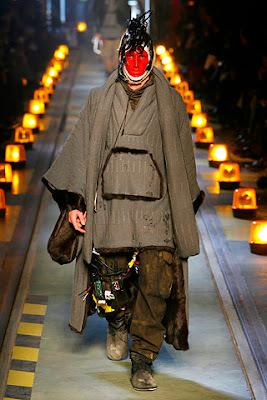 My gosh, I love Galliano purely for his pirate get up. Happy New Year to you too! 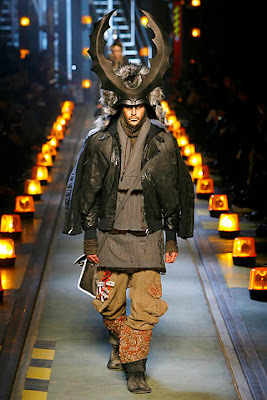 I've always loved Galliano...I think his vision is brilliant, and I've always dreamed of being able to go to one of his shows. They seem so theatrical and fabulous! And you're right - he looks exactly like a pirate...that made me so happy! I hope you had a wonderful New Years Eve! It's so The Last Samurai! Thank you for including the historical pictures as well. 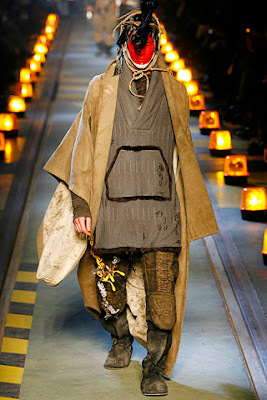 John Galliano always puts on exciting runway shows. Dude, cannot believe I just said that. oh wow. this is truly fascinating and so very interesting! 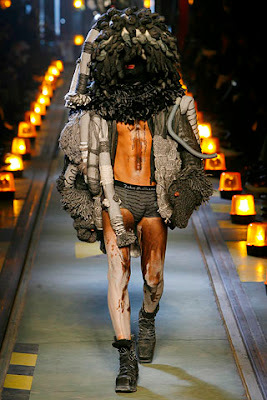 honestly, i've never seen such clothes on a runway, hehe. happy new year! 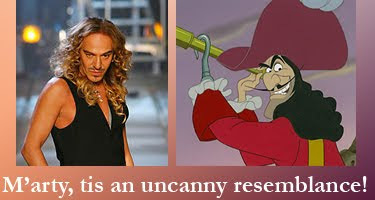 Great eye for noticing Mr Galliano looks like Captain Hook! love this post, the links to history in fashion is what we are all about!